CMO tracked down three such CMOs who are living and breathing the life as marketing chiefs working at some of these non-traditional businesses. We asked them what it’s like being a disruptor in the market, some of their top priorities and main challenges, and what makes for good marketing strategy. All three CMOs shared what they said are their ‘must-have’ marketing strategies and tips for success. For Weploy CMO, Ben Eatwell, being at a disruptor is both an “exciting and daunting” proposition. There are no precedents to what works and what doesn’t, which means the CMO always has to test and learn, he said. Eatwell comes from a traditional corporate background, having worked at LinkedIn. In January, he accepted the first-ever CMO role at Weploy. Brickx CMO, Andrew Balint, also finds the marketing chief’s post at a disruptor firm “exhilarating” in that he is helping a new business start from scratch. “Building a new business and brand from the ground up and in effect creating a new category is incredibly rewarding and definitely gets the adrenaline pumping,” Balint said. 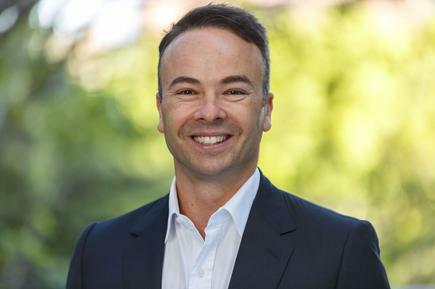 “The Brickx platform is a revolutionary way for Australians to gain access to the residential property market by investing in ‘Bricks’ of a property. This means everyday people, regardless of geography or wealth, can invest in quality residential properties for as little as a few hundred dollars. By using unconventional approaches to a traditional market, we’re helping democratise access to property. Sendle CMO, Craig Davis, meanwhile, said it’s flattering being described as an innovator and a disruptor, but it’s far from the main event. Sendle is a Sydney-based startup that’s a growing challenger to Australia Post in parcel delivery for small business. A major milestone was signing a major deal with online marketplace eBay in 2017. “We set out to solve major customer problems really well, and disruption occurred as a happy consequence of doing a good job,” Davis said. On the priorities front, Eatwell said startup CMOs need to ensure the entire organisation is aligned on the vision, mission and values of the company. Over at Brickx, Balint’s top priorities are on the people front: Staff and customers. “Owning your own house has long been the great Australian Dream and Brickx acts as a stepping stone to help Aussies achieve this – even if we go about it in an unconventional way. Considering the passion, emotion and effort invested in property ownership, Brickx has an incredible responsibility to ensure that users have the best experience,” he said. Since taking up the post in 2015, Davis’ top priorities at Sendle have involved achieving and maintaining product/market fit. “We worked hard to get to product/market fit a couple of years ago. It’s the most important milestone for any startup and the ultimate growth hack. Achieving and maintaining product/market fit has been central to our growth story,” he said. Davis advised CMOs to keep a “growth mindset” and stay engaged with multiple feedback loops to ensure the products and services they’re representing continue to meet the needs of the market. This is an ongoing priority, not a one-time challenge. 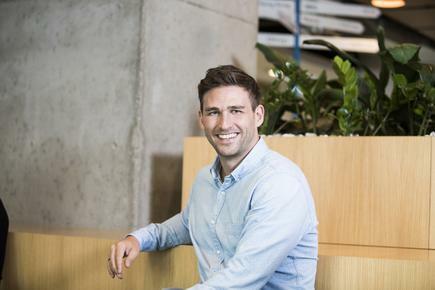 “We have seven major loops running, and part of the reason Sendle is growing 20 per cent month-on-month is because we’re listening very closely to the thousands of small businesses across the country that use Sendle to access simple, reliable and affordable parcel delivery,” he said.